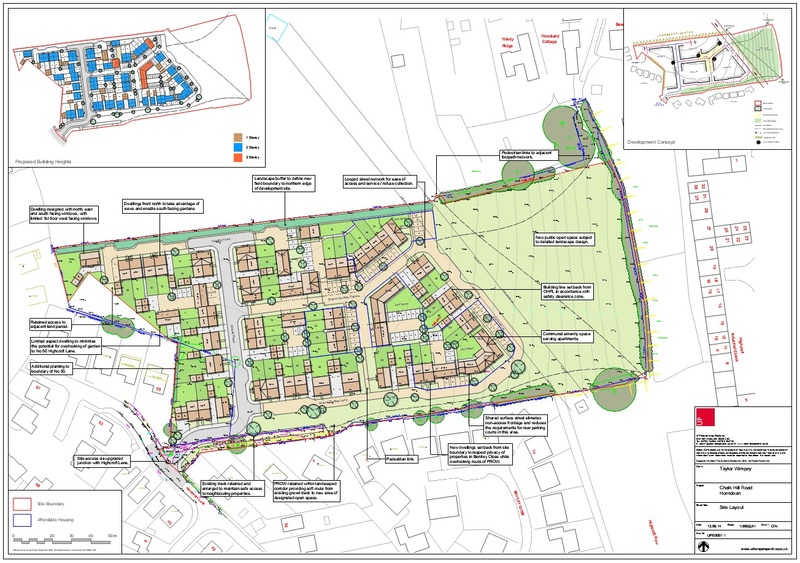 Taylor Wimpey’s second targeted site in Horndean, Chalk Hill Road, has been refused by the planning team at EHDC without even coming to a planning committee. 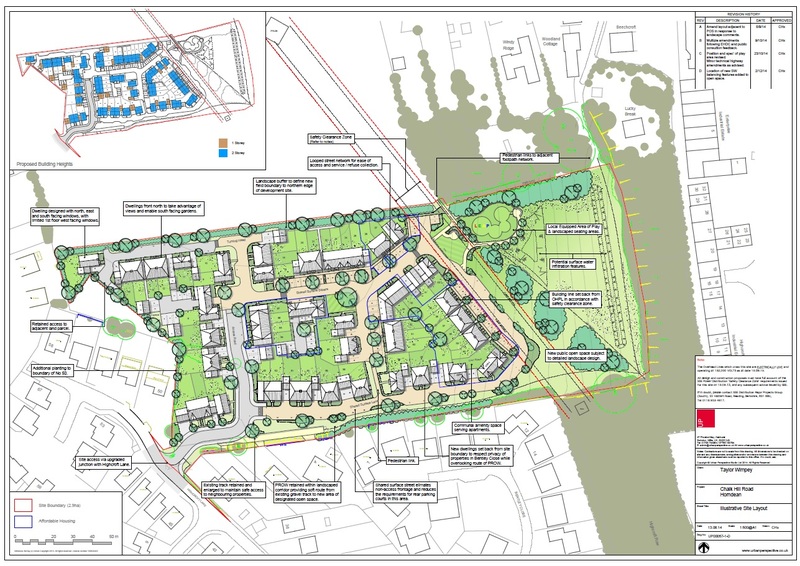 The proposed development which is along Highcroft Lane, a double parked and narrow road which was never intended to accommodate a further 50 homes at the end. At the time the application was submitted, EHDC did not have sufficient houses in the application process to achieve a five year land supply. While this 5 year supply is developer driven if there are not enough houses being built then EHDC is not allowed to use its ‘Saved Policies’, one of which is that identified gap land can not be built on. The theory is that we need to get the right balance between protecting areas and building sufficient housing to meet our own needs. During the consultation process a number of larger applications around the District were approved and this built up a large enough total in January to bring in the ‘Saved Policies’ and EHDC have been able to reject this application in part based on the Gap Policy. The second key reason is the emerging allocations plan which is now in its second round of public consultation which also identifies other locations for the local needs and this site is not one of them. This is the second Taylor Wimpey application to have been made in Horndean and the second to be refused. White Dirt Farm was controversial in the quality of the consultation which was held in the wrong parish, and residents were somehow sent the wrong plans with a much larger scheme being presented to the planning office instead. Residents at the Chalk Hill Road were reportedly told by a Taylor Wimpey representative “We will loose this at the planning committee, but win it at an appeal”. At this point with the housing need being met this would be a waste of money for Taylor Wimpey who have not registered an appeal on the White Dirt Farm site despite their very confident approach to this development. 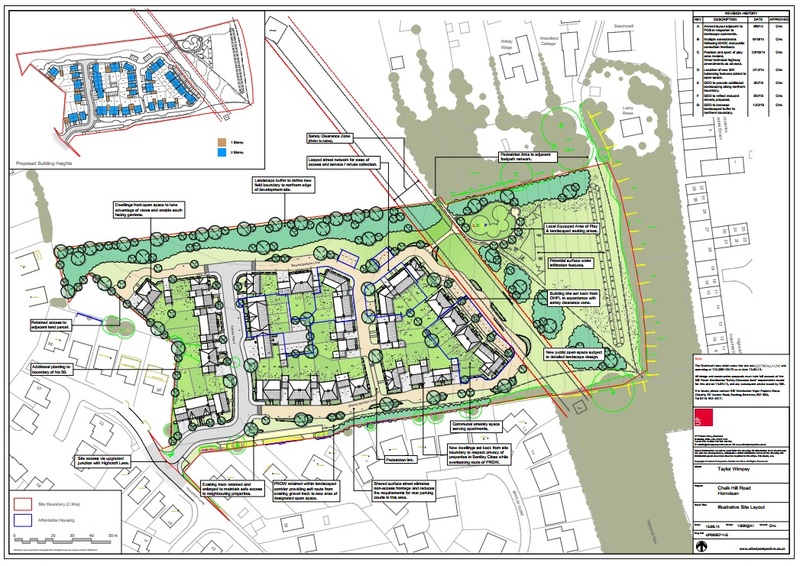 In December 2014 Taylor Wimpey submitted plans to EHDC for the development of Chalk Hill Road. Feedback from residents who visited the public consultations were quite remarkable in that they quoted a very self-confident individual from the Taylor Wimpey team who confidently predicted EHDC would refuse the plans, and that Taylor Wimpey would subsequently win on appeal. It seems Taylor Wimpey’s confidence has eroded as they have submitted revised plans for 50 homes instead of the original 67. Under planning law amendments and revised drawings can be made to the scheme to reflect consultee feedback and comments so that developments that are not quite right or borderline have an opportunity to evolve positively and maybe seek better chances of approval. It is important to stress that no one at EHDC has given guidance that a lower number of properties may make the scheme more likely to be approved. It remains in gap land, it is a key landscape area, and whether it is 50 homes or 67 the roads accessing the development are not best suited for the additional traffic it would bring. We of course also have an approved Joint core strategy, a 5 year land supply and the allocations plan has been out to its first round of public consultation. This proposed site is not on the plan. The reduction in homes is probably a last-ditch effort by Taylor Wimpey to put forward something they feel has a better chance of success. On receipt of the revised proposals EHDC will have made contact with all of the people who wrote in with comments and alerted them to the revised plans. It is important that if you wrote in before that you now do so again to confirm if the revised plans have changed any of your thoughts or if you still have the same comments. Click on THIS LINK HERE to go to the EHDC planning portal to see details for this application. The ‘Documents’ tab has all of the drawings and if you scroll down you will see the latest information which was uploaded on the 2nd March 2015. You have until the 25th March to issue your comments to the case officer which you can also do on this link. It is likely this application will be decided around the middle of April now. Chalk Hill Road Development Proposal. 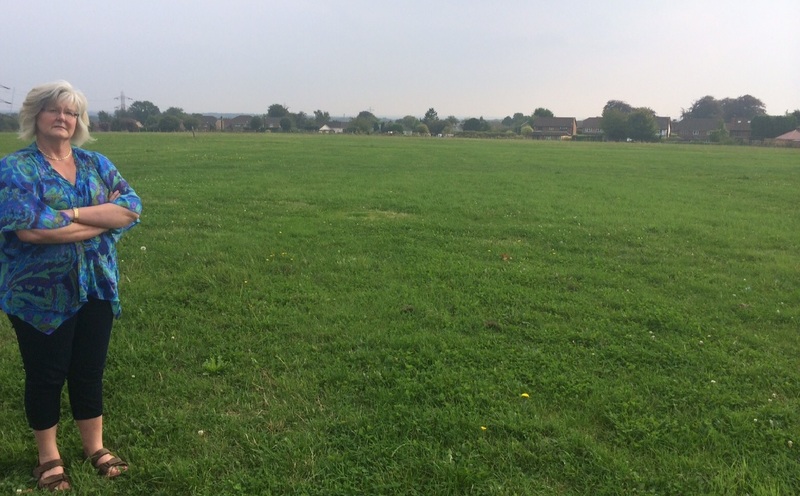 Back in September Taylor Wimpey came forward as the developer looking to build on the land North of Chalk Hill Road and next to Jack Tricketts Field. Following a consultation, Taylor Wimpey have now put in their planning application. Their timing is, to be fair, very poor as they have seen the ‘Where to build’ consultation give a clear community view as well as the publication of the draft allocations plan which excludes this land. 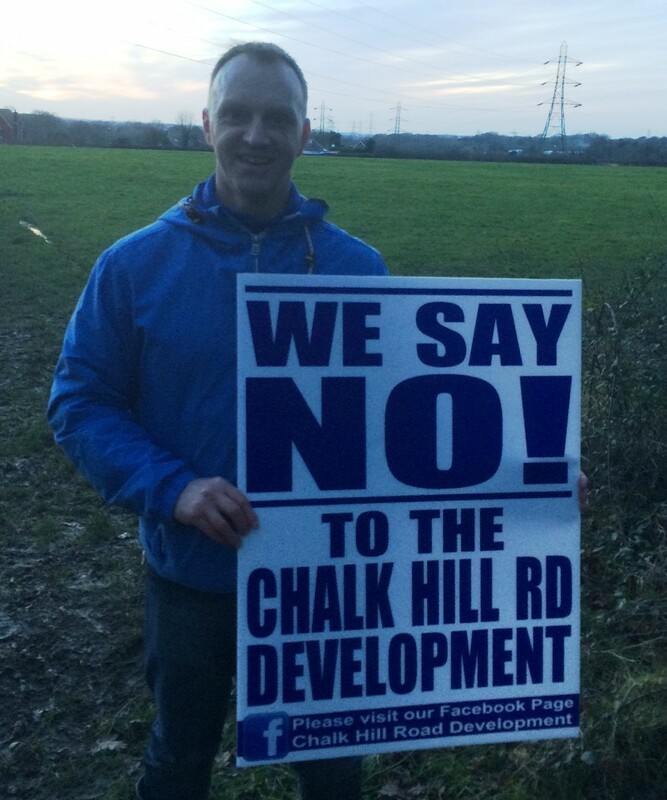 Taylor Wimpey are also the developer who have just seen their White Dirt Farm application rejected by East Hants. On this application they came under significant criticism for the quality and integrity of their community consultation and Taylor Wimpey again are clearly not concerned about working with the community view and looking to help us ensure new homes are built in sustainable locations. The proposed Chalk Hill Road development is on gap land and is visible for miles in all directions, including from the South Downs National Park. It is also accessed via Highcroft Lane and then Chalk Hill Road, both of which are narrow and difficult to access with cars parked along the road. The 67 homes they are proposing will be an unwelcome addition to the open space, gap land and sky line. 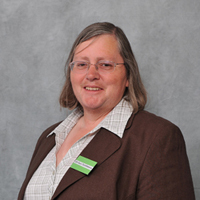 Cllr Sara Schillemore, whose ward has taken the brunt of the unwanted planning applications, said “It is disappointing that Taylor Wimpey are looking at this land. The planning officers at East Hants have given Taylor Wimpey clear advice that we do not require this development to achieve our housing numbers, and with the Five Year Land Supply in place, there are better places to build where more sustainable developments can be created”. The land is one of the SHLAA sites that was ruled OUT by EHDC when the draft allocations plan was prepared. This is now out at public consultation. If you would like to submit comments then there are several ways to do so. It is also worth reading more about ‘Material Planning Considerations’ before doing so to make sure the views you give are most useful to the planning officers. Click on this link here to see the plans in full and make your comments online. Please also let your ward Councillors know of any thoughts you might have so they can ensure they are raised with the case officers. 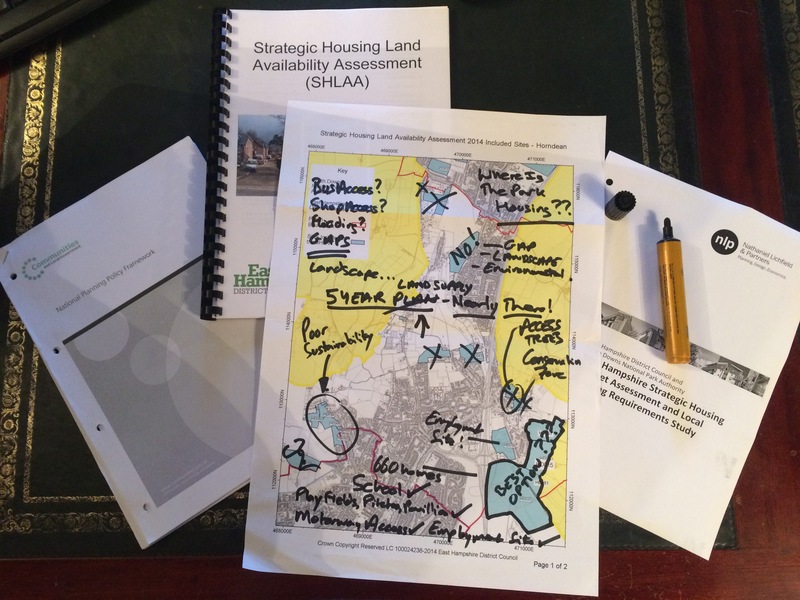 In the last week EHDC have reached a significant milestone event in the second part of the Local Plan, or allocations plan, by publishing a Draft version. 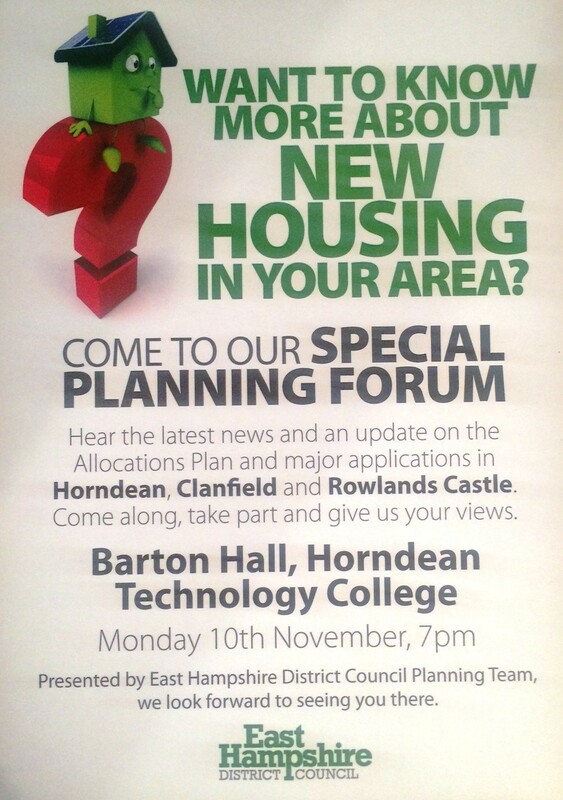 This is one of the key topics on the Special Planning Public Meeting EHDC are holding on the 10th November at 7pm, Barton Hall, Horndean Technology College. The proposal to select the sites in ‘Land East Of Horndean’ is a good fit with much (but not all) of the community view. It is also a current application which means it is viable, so a very strong argument against other options elsewhere. This is NOT however a firm proposal and needs community support to say if it is the right or wrong option. Whether you support this or not, it is important you give your view. The meeting will also have a questions and answers section. If you would like to submit a question on any of the issues above about planning in EHDC, SDNPA or more detailed questions about applications in the parishes of Clanfield, Horndean and Rowlands Castle then please use the contact form below by noon on Friday 7th November and it will go directly to the team at EHDC where they will sort the questions and make sure the topics are all covered on the night. The planning team look forward to seeing as many people as possible on the 10th November. 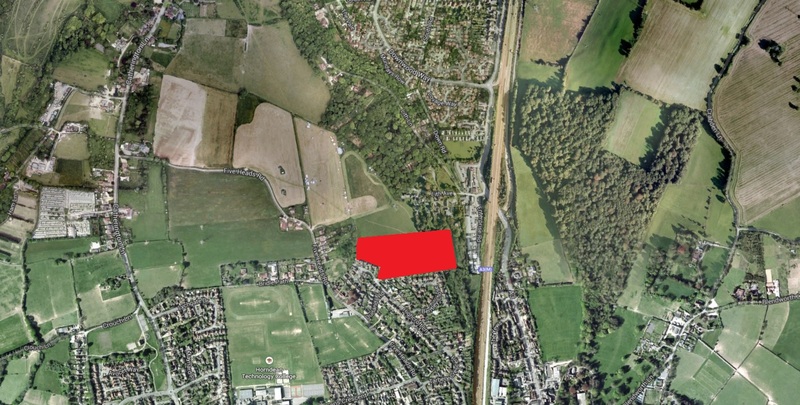 As reported recently, Taylor Wimpey is looking at making an application to build seventy three units at Land off Chalk Hill Road, Horndean. The Consultation with Parish Councillors will be next Tuesday, 16th September following which we shall have a clearer idea of what is proposed. The Full Public Consultation is on the 23rd September between 3pm and 7pm at Horndean Football Club off Five Heads Road and all interested parties are welcome. 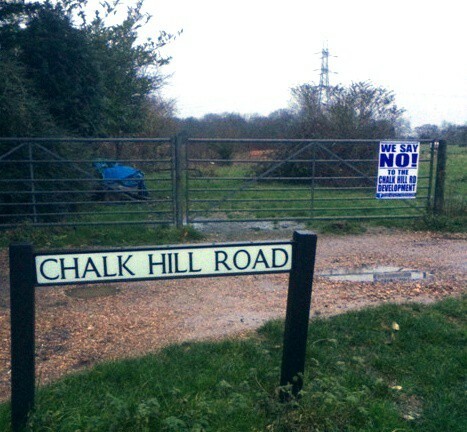 The ‘Chalk Lane Development’ is better known as land to the South of Tricketts field. It is NOT owned by Jack Trickett. 1. The application site is outside the Settlement Policy Boundary except for a small area on the south western side of the site. The countryside policies thus apply to it and development would be restricted unless it is necessary and justified. There is no need for any housing to be built here as the 700 homes required to be built in Horndean in the period up to 2028 can be built at a sustainable site at Hazleton Farm/ Pyle Farm which in addition to the housing will also provide infrastructure and community facilities. 2. 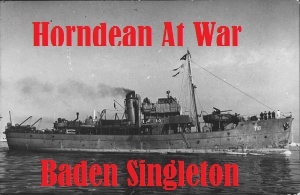 The site is in the Local Gap between Horndean and Catherington. The Local Gap is intended to prevent the coalescence of the two settlements. 3. The roads are inadequate to take the traffic that would be generated by the development. There is no public transport in the area and it would be necessary to own a car to live here. Chalk Hill Road, Highcroft Lane and Five Heads Road are already very busy congested roads that are dangerous in parts. 4. There are no local services in the area. 5. The site is a valued landscape in an elevated part of the Parish. There are views to the 11th century Church to the north; views to and from South Hampshire to Hayling Island to the east, across the Solent to the Isle of Wight in the South and across to Fawley in the west. These would be lost to a densely built out development that is out of character with the area. Some of the buildings are shown as being three storeys in height and would completely dominate the area. We would not want a replica of the development at Waterlooville in the countryside at Horndean. 6. Catherington Lith is situate just to the north. It is a local nature reserve, is a SINC and is protected by a woodland tree preservation order as it contains remnants of Ancient Woodland. A development of this nature would have serious, detrimental implications for the Lith. 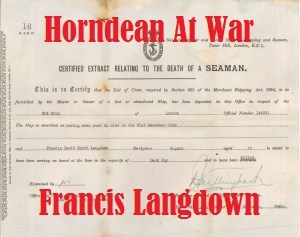 The Parish Council represents the views of Horndean residents. 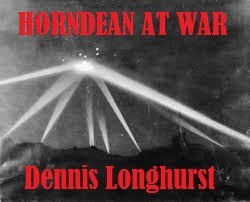 Comments and views are very welcome and should be sent to the Parish Office on contact@horndeanpc-hants.gov.uk. 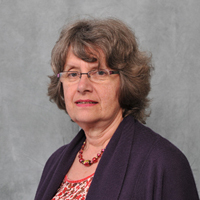 Cllr Elaine Tickell, Horndean Parish Council, Catherington and Lovedean Ward. When the public consultation plans are published a copy will be posted here with a poll asking your view on if the development should go ahead.